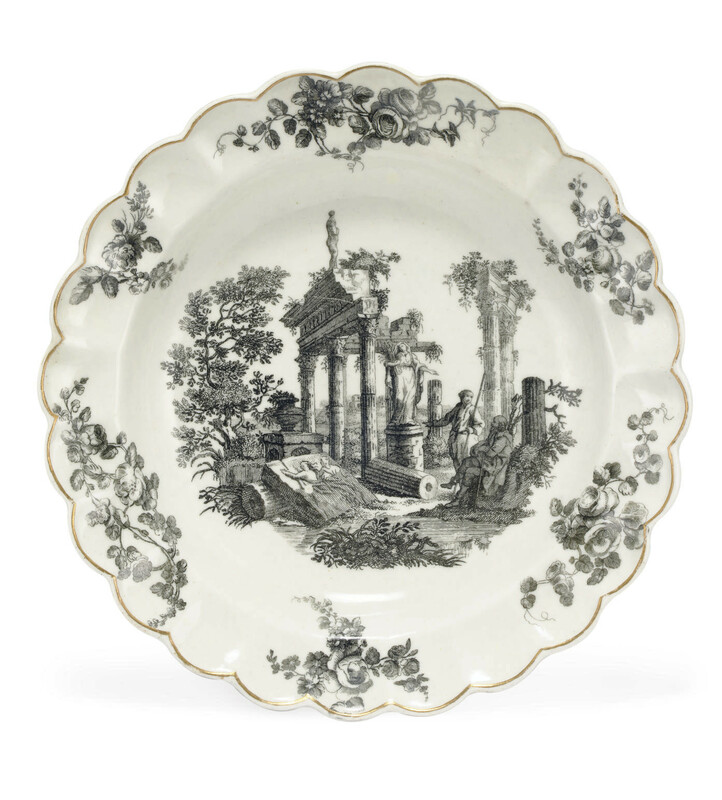 For a very similar pair of plates in the Joseph M. Handley Collection, see 18th Century English Transfer-Printed Porcelain and Enamels, Carmel, 1999, pp. 158-159, no. 5.13.